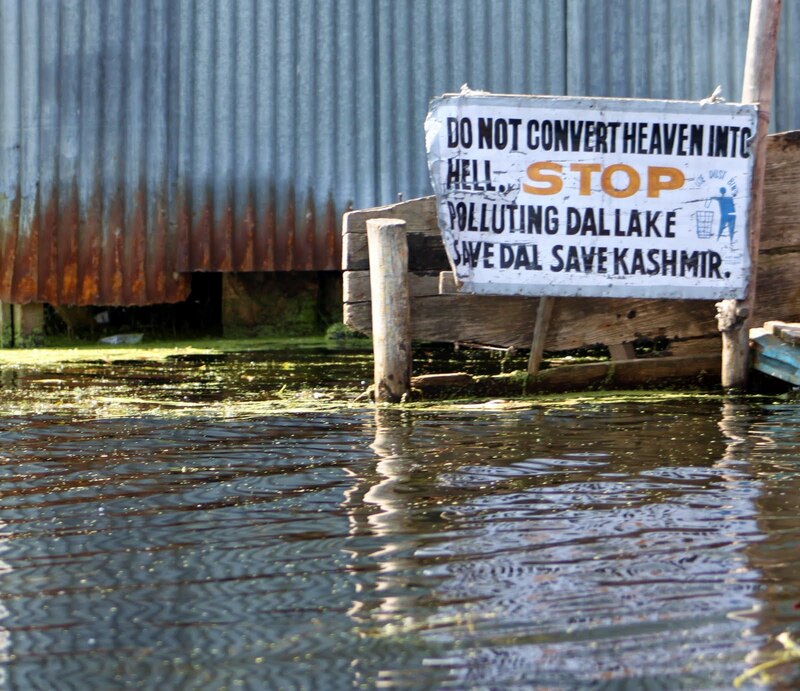 There are a lot of "save Dal" signs around the lake. This is one of the most conviction stirring I've seen. 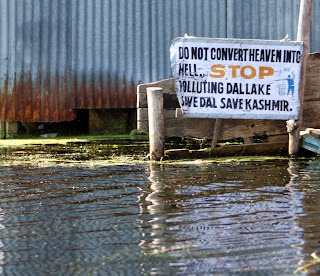 Kashmir's nickname is "paradise on earth"--or translated here as "heaven". Hell would be a place of pollution. I guess. There are conservation efforts happening around the lake; it's just hard to see any result. I suppose, if there is a lot of signage, it's only because there is a lot to be saved.